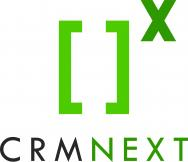 CRMNEXT, Inc. is the leading global CRM provider in financial services, eliminating the artificial barriers between digital and assisted channels to enable seamless omni-channel customer interactions from a single, unified platform. A Gartner Magic Quadrant company, CRMNEXT continues where traditional CRMs leave off by automating customer journeys and transforming engagement across all channels. CRMNEXT currently empowers more than a million financial services organizations and supports a billion customers on its platform across the globe, reducing the average length of customer transactions by 90 percent, increasing employee productivity by 60 percent, and contributing as much as a 40 percent increase to bottom line revenue. CRMNEXT supports the largest installations of CRM in the world and effectively recalibrates banks’ potential to grow engagement, drive profitability and deliver innovation.